Early colourways - Michael Harris; 'New' Golden Peacock - Timothy Harris. 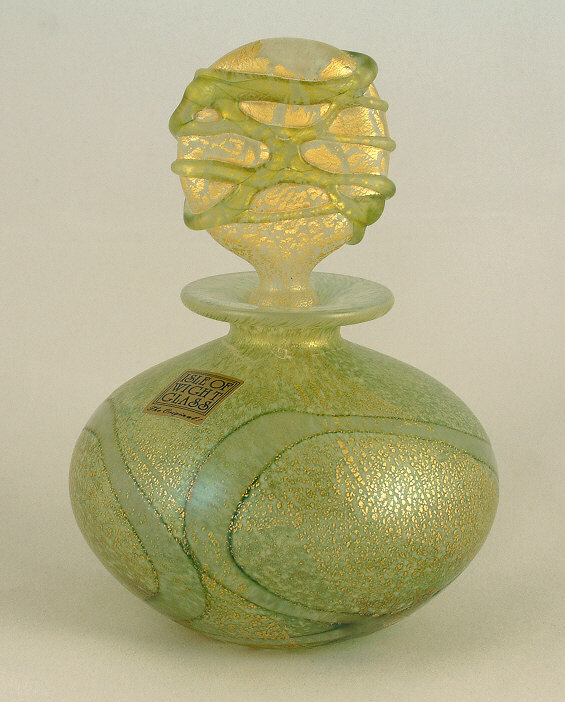 This squat perfume bottle is 6.5 cm high and was an experimental piece for the Golden Peacock series. It was not sold outside the island shop. 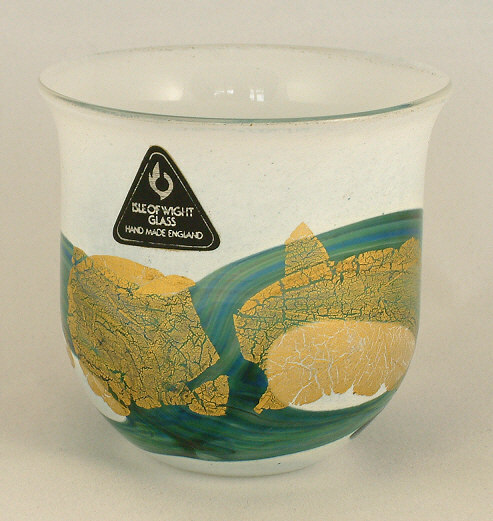 This has been confirmed by Isle of Wight Studio Glass. The stopper is a replacement made by IOWSG. 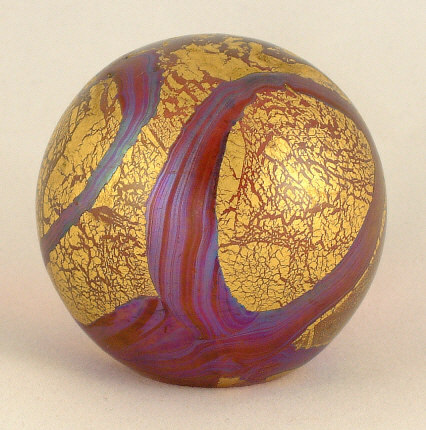 Small globe vase, 6.5 cm diameter, 7 cm high. 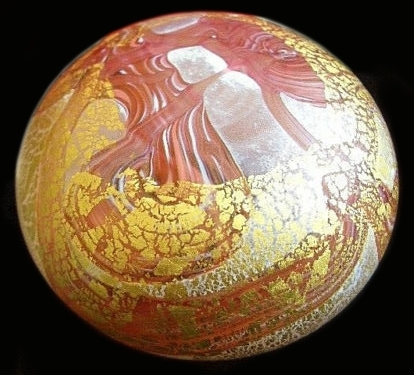 Flattened globe paperweight, 8 cm diameter, 4.2 cm high. 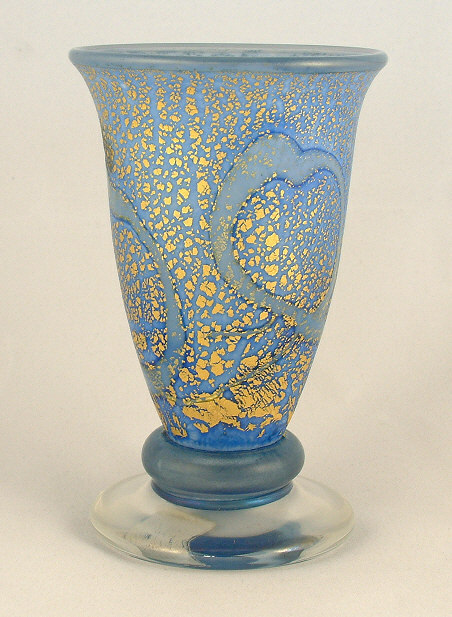 Tall cylinder vase, 16.5 cm high, which was produced in 1987 only. Squat vase, 11 cm high. 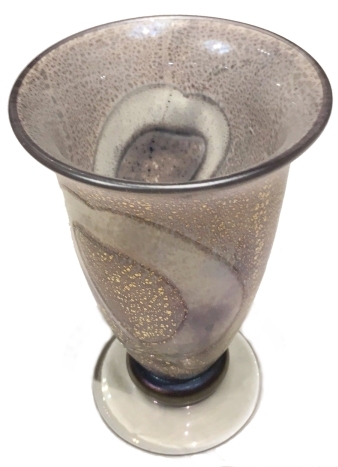 Goblet, 16 cm high, 8.5 cm diameter rim, 7.5 cm diameter base. 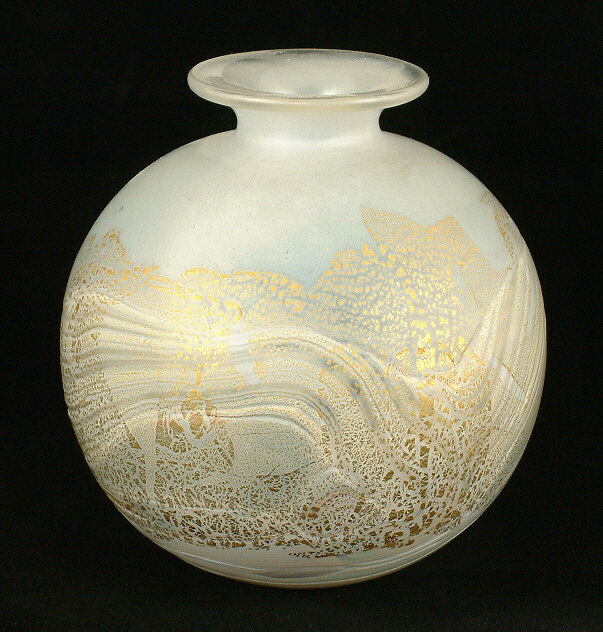 Globe vase, 9 cm high, 8 cm diameter. This vase has the triangular label of the 1980s. 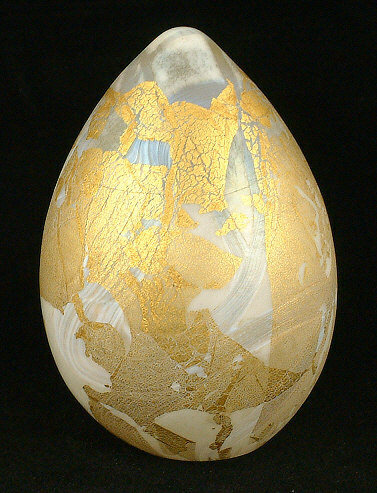 Egg paperweight, 7 cm high, 4.5 cm diameter. Beaker vase, 6.5 cm high. 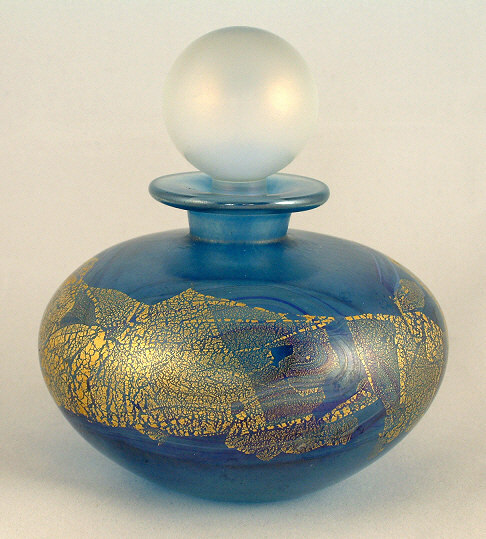 Globe vase, 8 cm diameter, 8.5 cm high. Cylinder vase, 13.5 cm high. 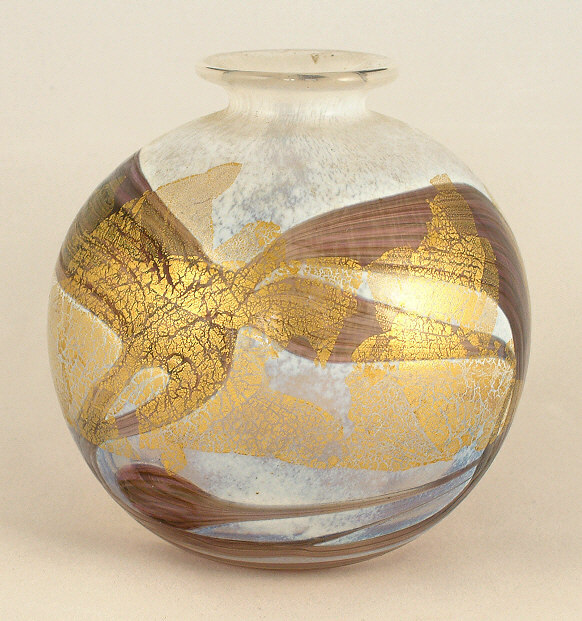 Beaker vase, 7.5 cm diameter. 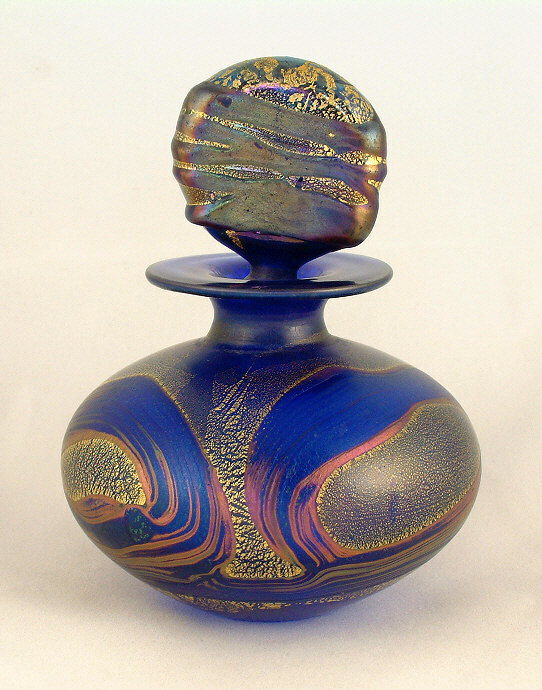 Squat perfume bottle with cobalt blue base glass, 10 cm high. Round paperweight with pink base glass, 4.5 cm diameter. 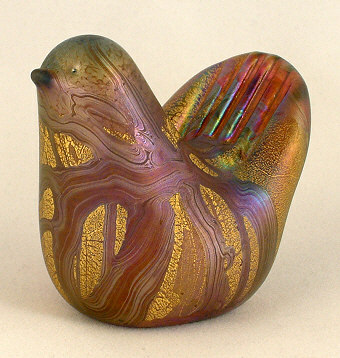 Bird paperweight with pink base glass, 4.5 cm long. 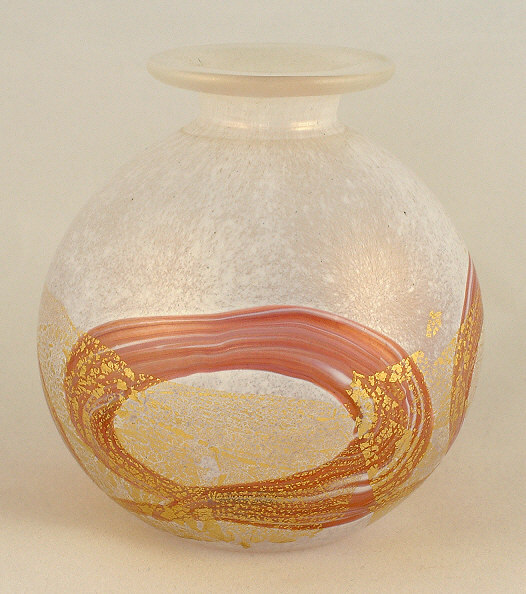 Flared vase, 10.5 cm high. Squat perfume bottle, 7.5 cm high. 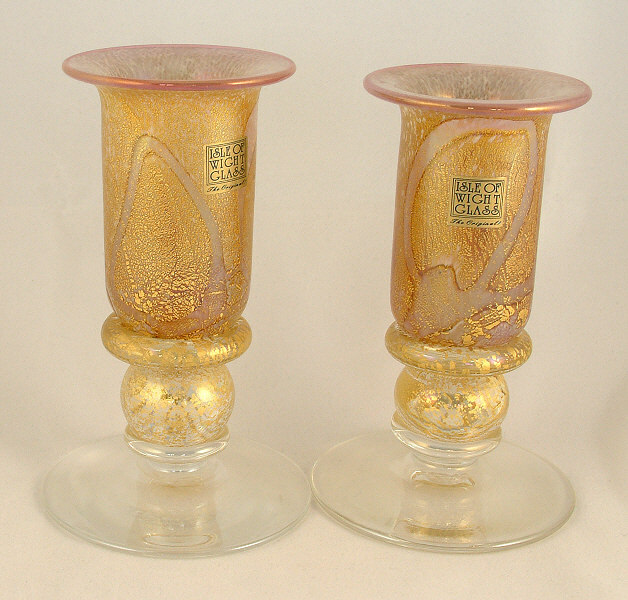 Pair of candlesticks, 11.5 cm high. 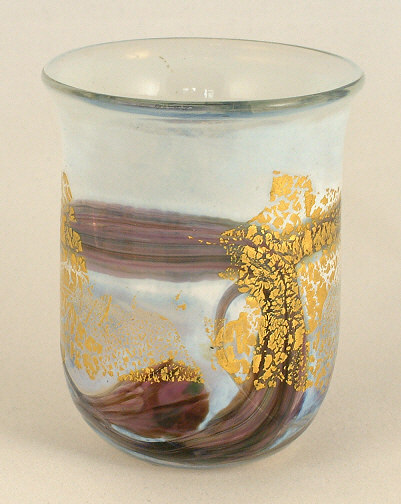 Footed vase in the trial colour of lilac, made in 2003 only. 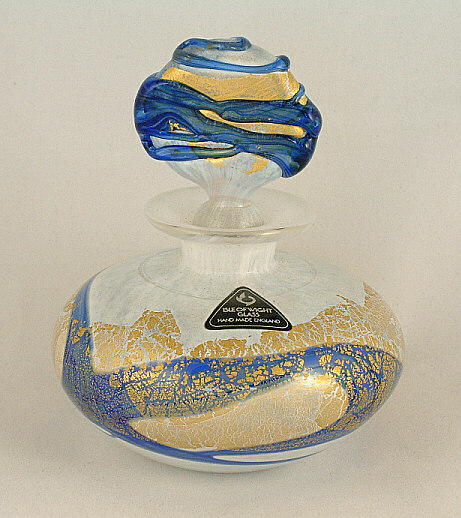 Two examples of this vase have been seen, both with the 30th anniversary label on the side. The vase is 15.5 cm high and 9 cm across at the top. It has an rough unfinished pontil mark on the base.